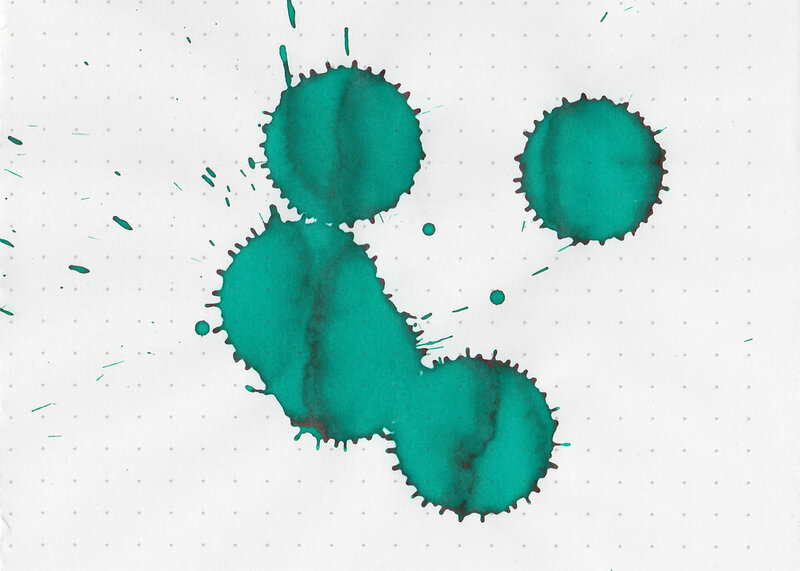 Today let’s take a look at Pelikan Edelstein Jade. I purchased my bottle of ink from Pen Chalet. Jade isn’t quite green, not quite teal, somewhere in the middle. It’s a gorgeous color. In large swabs there is some pretty shading and just a little bit of sheen. On Staples 24 lb copy paper there was a little bit of feathering, and a little bit of bleeding in the larger nib sizes. 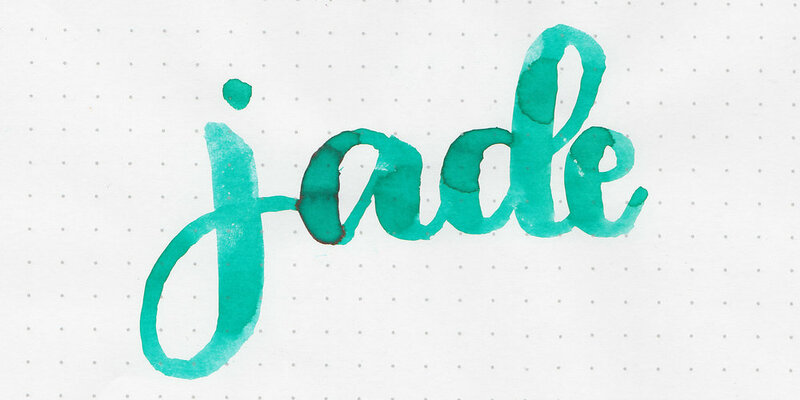 Jade is a really close match to Diamine Cool Green. 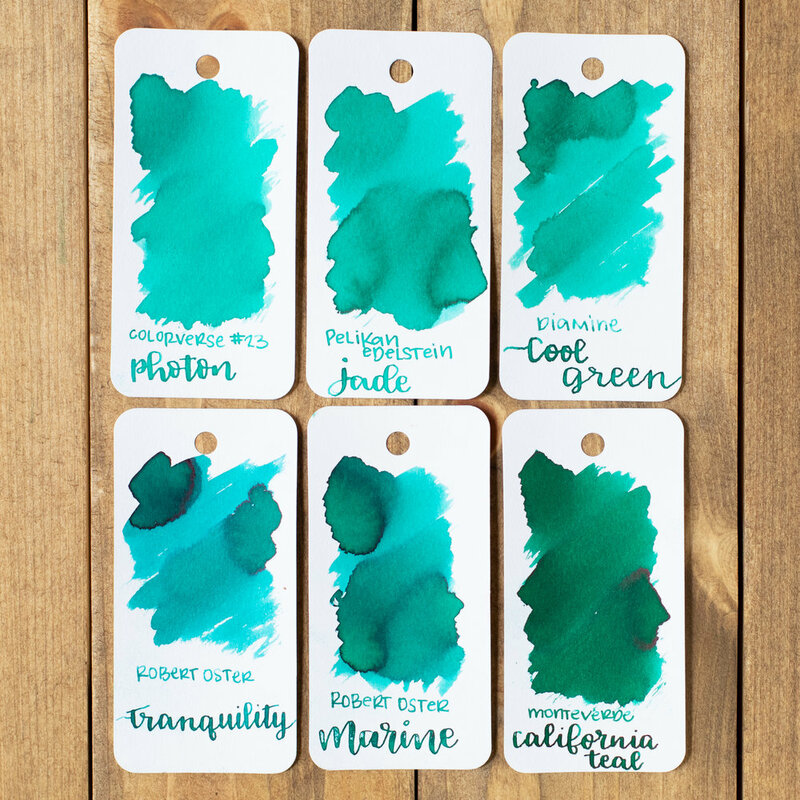 Click here to see the Pelikan inks together. I used a Pelikan 400N on Tomoe River 68gsm. The ink had a slightly dry flow. Overall, it’s a really nice ink. I wish the flow was a little bit wetter. Diamine Cool Green is a really close match for the color.